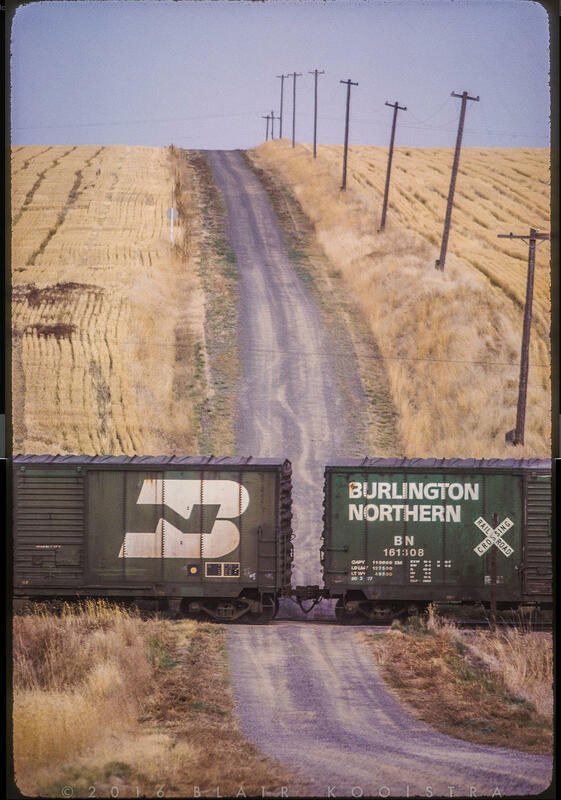 Blair says: "Old forty-foot Northern Pacific boxcars loaded to their 50 ton capacity with wheat clomp across a rural grade crossing near Creston, Washington, bound east on the CW local returning to the mainline at Cheney. 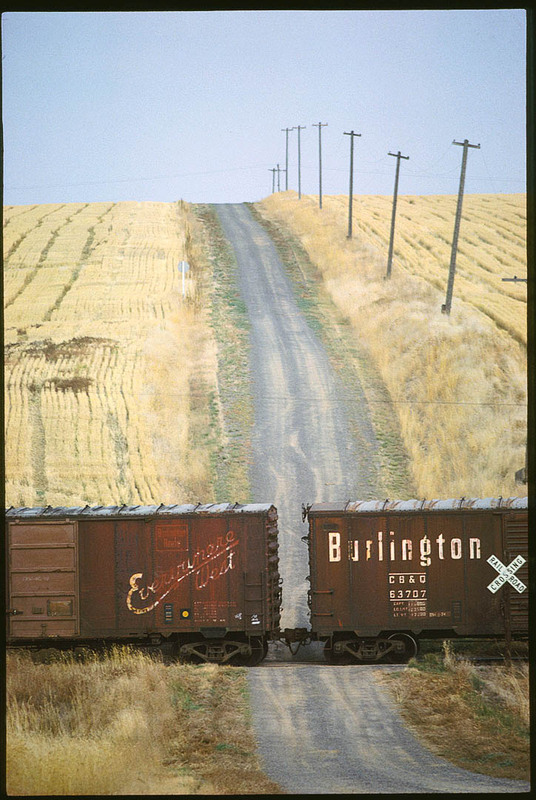 High-capacity hopper cars have just about done in the movement of wheat in boxcars in the west; in a few years, such scenes will cease to exist." These are some of my favorites. And my usual question comes up - which camera/film was he using? 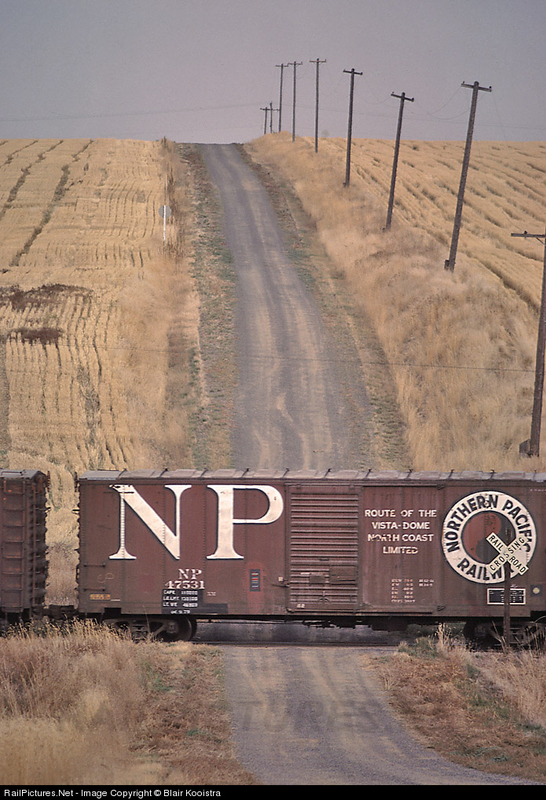 It looks like maybe an old Brownie box camera with maybe Ektachrome film. These are beautiful.